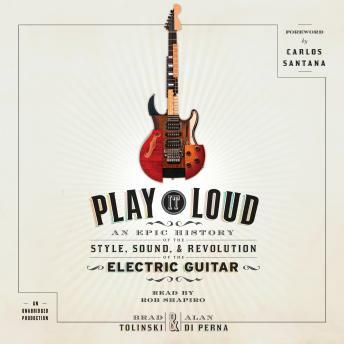 Play It Loud uses twelve landmark guitars—each of them artistic milestones in their own right—to illustrate the conflict and passion the instruments have inspired. It introduces Leo Fender, a man who couldn't play a note but whose innovations helped transform the guitar into the explosive sound machine it is today. Some of the most significant social movements of the twentieth century are indebted to the guitar: It was an essential element in the fight for racial equality in the entertainment industry; a mirror to the rise of the teenager as social force; a linchpin of punk's sound and ethos. And today the guitar has come full circle, with contemporary titans such as Jack White of The White Stripes, Annie Clark (aka St. Vincent), and Dan Auerbach of The Black Keys bringing some of the earliest electric guitar forms back to the limelight.